In this special screening and remembrance event, RSL Ballarat President Alex Tascas will take us on a retrospective journey through some of the significant commemorative events which took place in Ballarat in 2015. After the show join the RSL Ballarat and project cast and crew for a complementary drink at the George Hotel. Screening and Remembrance Event at M.A.D.E Ballarat: Sunday 8th November 2:30 pm – 4:00 pm, the Museum of Australian Democracy at Eureka, 102 Stawell Street South, Ballarat, Victoria 3350. THIS SESSION IS FULLY BOOKED. Extra Screening: Sunday 8th November 4:00 pm – 4:30 pm, the Museum of Australian Democracy at Eureka, 102 Stawell Street South, Ballarat, Victoria 3350. Complementary Drink at the George Hotel: Sunday 8th November 4:30 pm-7:30 pm, the George Hotel, 27 Lydiard Street North, Ballarat Victoria 3350. RSVP: Entry is free but bookings are essential. Please RSVP to 1800 287 113, rsvp@made.org, or via online booking at https://register.eventarc.com/31760/the-last-goodbye. All are welcome but please note the venue has a limited seating capacity. 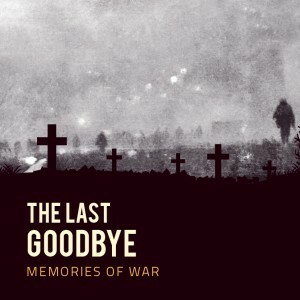 The Memories of War Film and Research Project ‘The Last Goodbye’ is part of the Memories of War Film and Research collaboration between the Ballarat RSL, Federation University Australia, the Ballarat Gold Museum, the Museum of Australian Democracy at Eureka, Wind & Sky Productions and the Ballarat Ranger Military Museum. It was funded by the Australian Government Anzac Centenary Local Grants Program and the Victorian Government Anzac Centenary Major Grants Program.